At the start of the FDR Mediation process, your mediator will speak with each party separately to complete an ‘FDR Assessment’. At that time your mediator will discuss options for your process with you, including the possibility of Preparation for Mediation. You should note that if you do opt to participate in this service, the person delivering it will be someone other than your mediator. Preparation for Mediation allows you to speak with an independent professional who is experienced in working with parties to FDR Mediation to help you manage your feelings and focus on your children so that you can participate effectively in FDR. The service is similar to counselling or conflict and communication coaching. It is not compulsory to participate in Preparation for Mediation. However, participating in Preparation for Mediation can improve the likelihood of a successful outcome for the parties and we recommend you consider opting in. There is no additional cost for Preparation for Mediation within the government subsidised FDR Mediation service. What about after the FDR Mediation has finished? We recognise that the conclusion of the FDR Mediation process is never the end of the matter. You will go on to co-parent with your ex-partner and sometimes need some additional support throughout that journey. 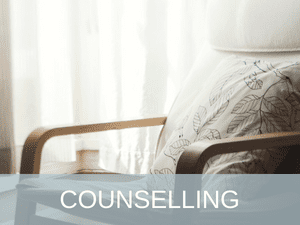 The FDR Centre also offers private counselling services and this is something you may wish to consider outside of the FDR Mediation process.